Learn the secrets of happiness and success from one of today’s leading experts. Dr. Susan David has a PhD in psychology and a post-doctorate in emotions research from Yale. She is a founder of the Harvard/McLean Institute of Coaching and is on faculty at Harvard. Her new book, Emotional Agility, is based on the concept named by HBR as a Management Idea of the Year, and explores how we can be more emotionally aware, fulfilled people. 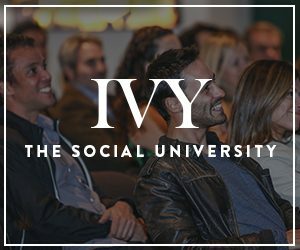 She shared her story with IVY members and offered some great tips from her new book.